Oh my God. 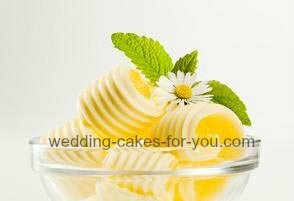 I have done the lemon cake recipe on your site it was amazing. My mum said It is the best cake that I have done in 18 years. Wow! Thanks for the nice comment on the lemon cake recipe. It's one of my faves too! I use it for my brides cakes often. I apologize for not specifying the sprinkling part of the recipe. I have to fix that right away. After you put the batter into the pans, you sprinkle(or dust) the remaining 1/2 cup of sugar over the batter before you bake it. I hope that explains it enough. Sprinkling means to "scatter or distribute loosely." If you like the lemon cake, try the orange cake recipe with white chocolate butter cream and raspberries. It is to die for. Ahhhhhhh oki. By the way you dont have to apologize :-). You do to much for us:-). This is the first time I heard this kind of way, like put sugar on the butter. Now I konw what it means I will do it tonight and let you now:-). I can't wait to hear how it comes out. Feel free to ask questions anytime. Happy Baking!!! !